Hello #QBOchat I am Cindy Schroeder Bright Bookkeeping from Winter Garden FL. Joanne from @shopvox, we are located in Cali, but I’m in Pennsylvania. Excited to be here and to be an #AppShowdown finalist!! Hello #QBOchat Lisa here from @IntuitDev eager to hear from #SmallBiz #appshowdown finalists! 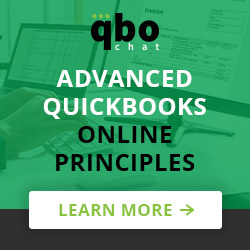 @goclio @IntuitDev Welcome to #QBOchat! #happyDiwali to all our Hindu friends! A3: Amazon Seller Central isn’t good for accounting, and there’s too much transaction data for spreadsheets, so we built A2X. Can you fix PayPal next? RT @a2xaccounting A3: Amazon Seller Central isn’t good for accounting, so we built A2X. #qbochat @QuickBooks @IntuitDev @LOCATEInv we should discuss integrating @recur360 to provide recurring inventory for your clients! @CathyIconis @avalara Is the 4 year old the candle making genius?! Still wanting to become her loyal customer!! 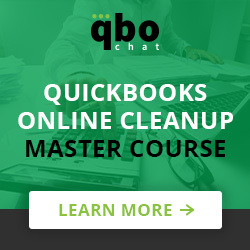 #QBOchat ? @LOCATEInv @anniefever @tsheets @CathyIconis @avalara Can we get that trending? @QBOchat #PuppersForAll #qbochat ? #qbochat gotta jet – closing down @sibostoronto rn! Can’t wait to see you guys at #appshowdown! Thank you so much #QBOChat for the spotlight on the #SmallBiz #AppShowdown Finalists. I can’t wait for the $100K contest at #QBConnect.